The average payback time for a standard-sized solar energy package (5kW) is about 6 years. Connecticut energy rates are a higher-than-average $0.19/kWh. If you installed a 5kW system you would save approx. $1112 per year on your electricity bill ($93/month). 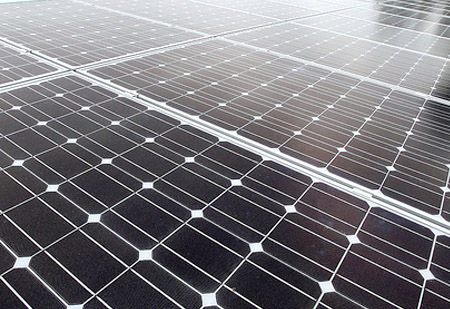 The state of Connecticut offers a very generous rebate for the installation of roof top solar energy systems up to 10kW. Rebates are limited to $2450 back per kW up to the first 5 kW, than a further $1250 per kW up to a maximum of 10kW – which allows a maximum rebate of $18500 on your PV equipment. It often benefits to get these incentives paid up front, rather than to receive multiple payments paid over time. Going this route might invalid the prospect of receiving energy credits, but that isn’t really a great loss. Connecticut is one of the states not offering a tax credit for solar energy installations. The property tax laws in the state of Connecticut have been offering tax exemptions on root top solar panel systems since 1977. All that needs to be done is file a property tax exemption with the board of assessors prior to November 1st in the year wishing to make the claim. Also, in this state, the installation of PV equipment is sales tax exempt. The Renewable Portfolio Standard (RPS) in the state of Connecticut is highly ambitious but can be difficult to understand due to the way renewable energy is classified. Yet, for ease in explaining, the two utilities (United Illuminating Company (CLP) and Connecticut Light and Power (CLP)) are required to provide at least 23% of its energy from renewable sources by the year 2020, which can come from any source of renewable energy, not necessarily solar. Solar root top panels will be become more prominent in Connecticut from the states rebate and net-metering incentives, rather than what is written in the RPS. Connecticut is able to offer an exceptional net-metering law, meaning that credit is given back to customers for generating power which goes unused. In Connecticut an excess kWh, known as a Net Excess Generation (NEG), is rolled over from month to month until used up. Net-metering is quite straightforward to use for the average homeowner, yet becomes extremely complicated for huge systems (10kW plus).